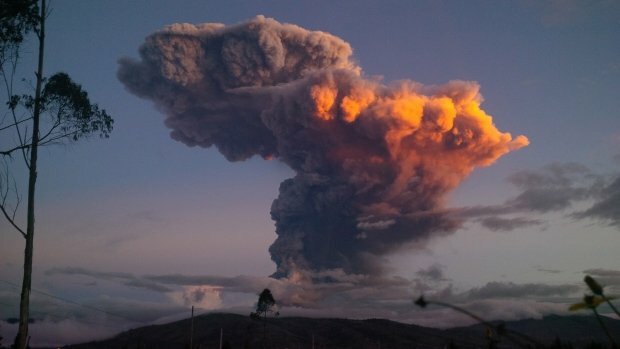 The Tungurahua volcano, south of Ecuador’s capital Quito, has erupted, creating a spectacular plume of ash, 6 miles high. The volcano created the huge cloud on Friday in an eruption that lasted just five minutes. The Tungurahua volcano has been erupting since 1999, but has been particularly active in the last two months. Tungurahua is one of eight active volcanoes in Ecuador, which lies in the so-called Pacific Ring of Fire.